You are going to Watch Naruto Shippuden Episode 289 English dubbed online free episodes with HQ / high quality. Stream Anime Naruto Shippuden Episode 289 Online English dub The Lightning Blade: Ameyuri Ringo! 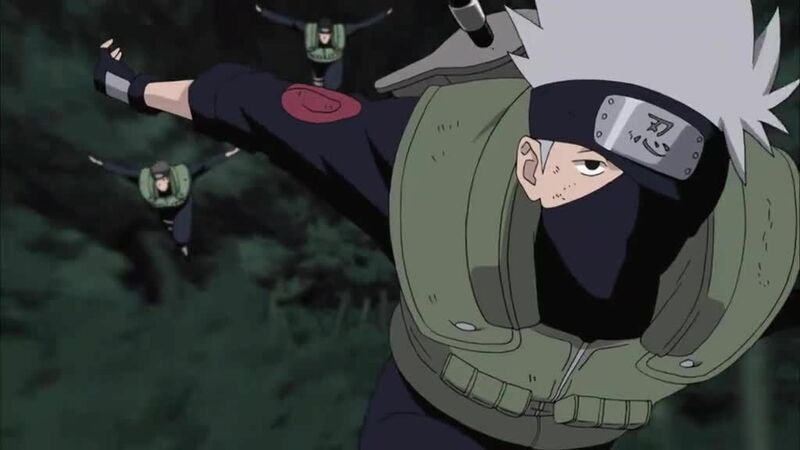 As Guy and Kakashi prepare to regroup their forces, they receive word that one of the units were engaged in battle with Ameyuri Ringo and decide to head to that location. Elsewhere, Ameyuri merciless attacks the members of Yurui’s unit. With Yurui dead and only a handful of members left, the new leader of the team Nurui decides that they should escape as they were no match for one of the Seven Ninja Swordsmen of the Mist. As they flee, Omoi who believes that they should stand and fight, gets into an argument with Nurui and Kayui tries to quell the argument, but, Omoi unable to take the coward’s way out turns and prepares to face Ameyuri. Clashing with the kunoichi, Omoi is soon overpowered until Nurui and Kayui arrive and lure her away as Ameyuri notes that she always saved the best for last. The two shinobi are soon incapacitated by Ameyuri’s attack, leaving Omoi to lure her away once again. Using her Lightning Release: Depth Charge once again, Ameyuri is shocked to see the ground beneath her give way as she and Omoi began to sink into quicksand. When the Third Division arrives in time to rescue Omoi, Ameyuri who had seemingly grown to like the young Cloud ninja, gives him the blade Fang as a parting gift.